The Prisoner Volume 2 - cover reveal! We can now reveal the cover for Volume Two of The Prisoner, based on the classic ITV series, continuing at Big Finish! Written and directed by Nicholas Briggs, and starring Mark Elstob as Number Six, The Prisoner Volume 2 is coming in August. Check out the cover art of this highly anticipated series, the second volume in the audio revival of the cult 1960s TV show. January 16th, 1967... A secret agent resigns, then wakes up to find himself imprisoned in ‘The Village’ - a bizarre community with a cheery veneer, but an underbelly of mystery and threat. All occupants of The Village have numbers instead of names, with our secret agent forced to accept the mantel of Number Six. 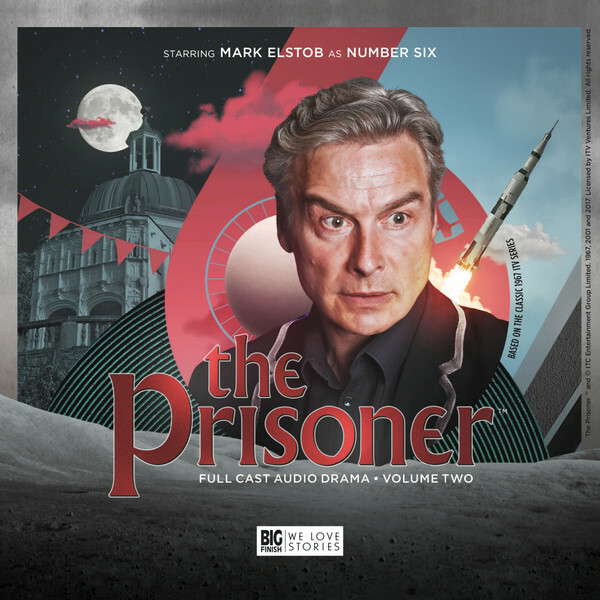 The Prisoner - Volume 2 can be pre-ordered on Download for £20, or on CD for £25 - both pre-release prices to be frozen until the general release date at the end of September when they increase to £25 and £30 respectively. Any CD purchase will unlock a download as an exclusive to your Big Finish account, which works with the Big Finish app! This release also comes with an impressive set of exclusively downloadable extras, including the full music soundtrack of the series and download-only documentary material. You can listen to an exclusive extract of Volume 2 here. And if you’re new to the world of Number 6, The Prisoner and The Village, try episode 1 of Volume 1 for free!